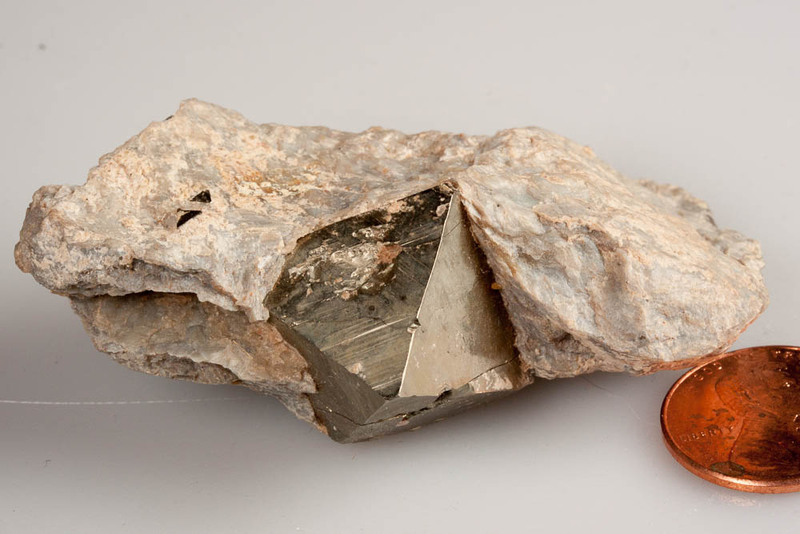 Comment: A 1.9 x 1.9 x 1.5 cm, highly lustrous, brassy, pyrite octahedron is jauntily set atop the matrix wedge of a super-soft, talc-like mineral. Complete all-around and pristine. 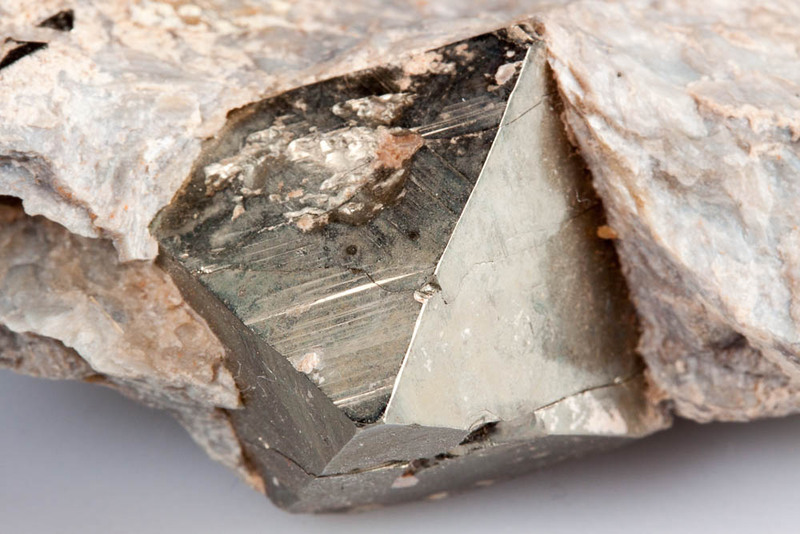 This nifty crystal looks like a Great Pyramid of Giza with a heavily vandalized face. Seldom on the market.